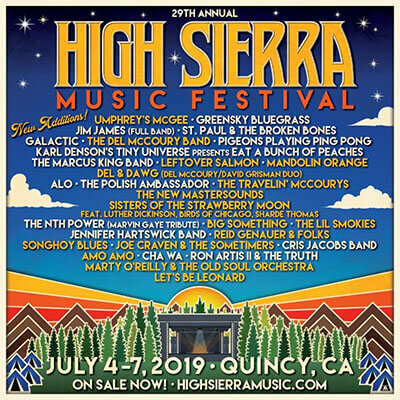 Luther Dickinson, along with Birds of Chicago and Sharde Thomas, will present his new project, Sisters of the Strawberry Moon at the High Sierra Music Festival. The second batch of bands for the July 4-7 High Sierra Music Festival were announced on Friday. Leftover Salmon, which possibly has played the festival more than any other band will return, along with The New Mastersounds, a British group made its first mark in this country at HSMF. 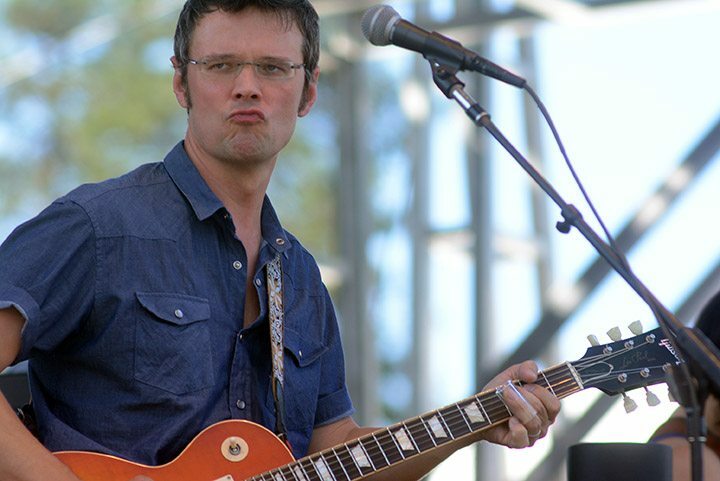 Luther Dickinson, along with Birds of Chicago and Sharde Thomas, will present his new project, Sisters of the Strawberry Moon. More include Umphrey’s McGee and the beautiful songs and harmonies of Mandolin Orange in their 2019 lineup. The McCoury Family, aka the first family of bluegrass, will also grace the festival with a number of different sets from The Del McCoury Band, Del & Dawg (Del McCoury and David Grisman), and The Travelin’ McCourys. Reid Genauer will collaborate with Dan Lebowitz, Danny Eisenberg, members of Assembly of Dust, and more. Big Something, The Lil Smokies, Songhoy Blues, Joe Craven & the Sometimers, Amo Amo, Marty O’Reilly & The Old Soul Orchestra, and Let’s Be Leonar.